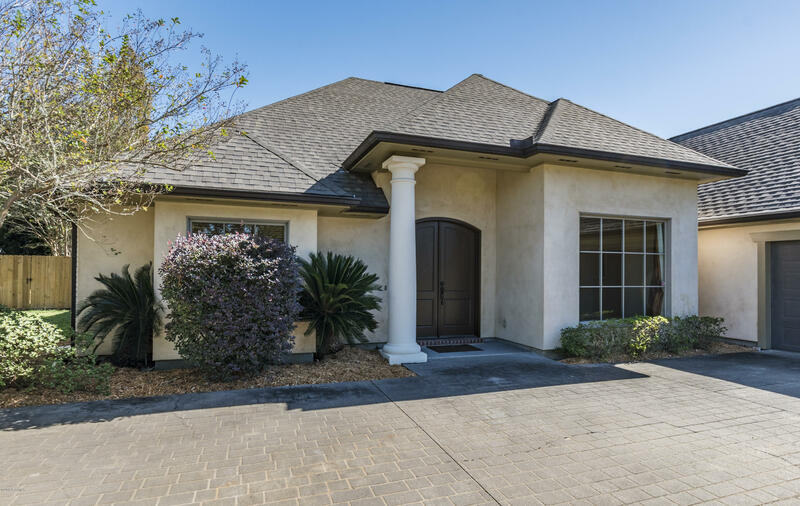 Behind the gates of the exclusive Le Triomphe entrance you will find your new home with tons to offer and the lifestyle you desire! 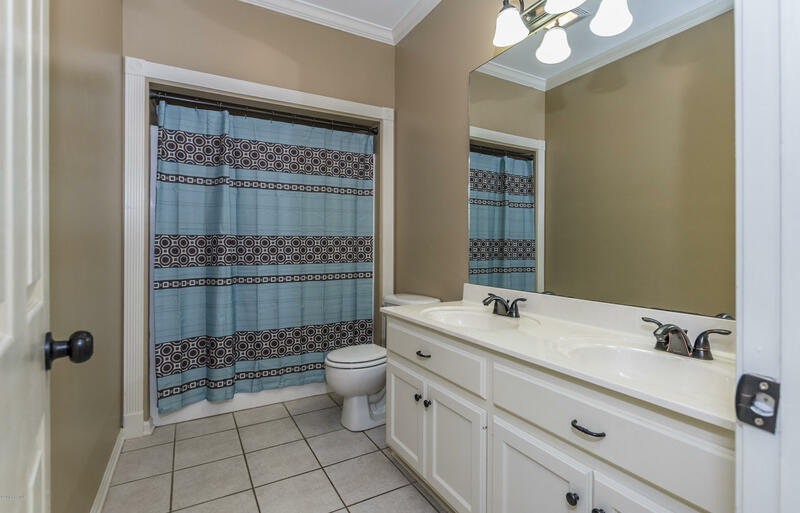 This well maintained home welcomes you with superb curb appeal, circular drive way, beautiful landscaping and on trend palette! 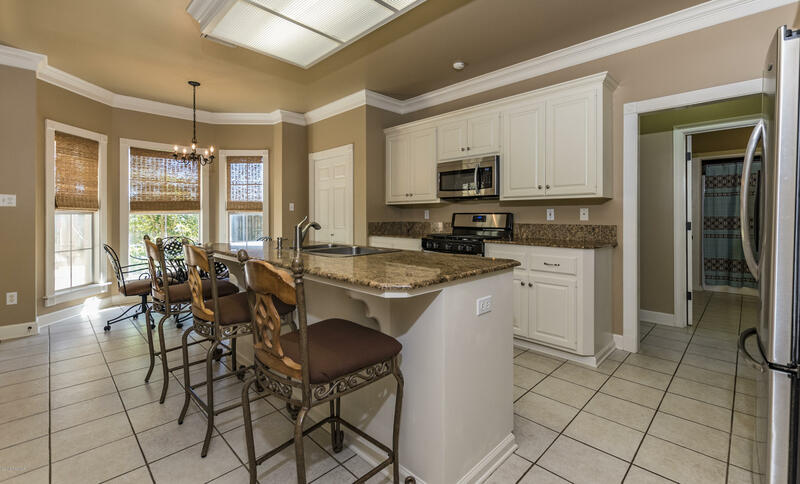 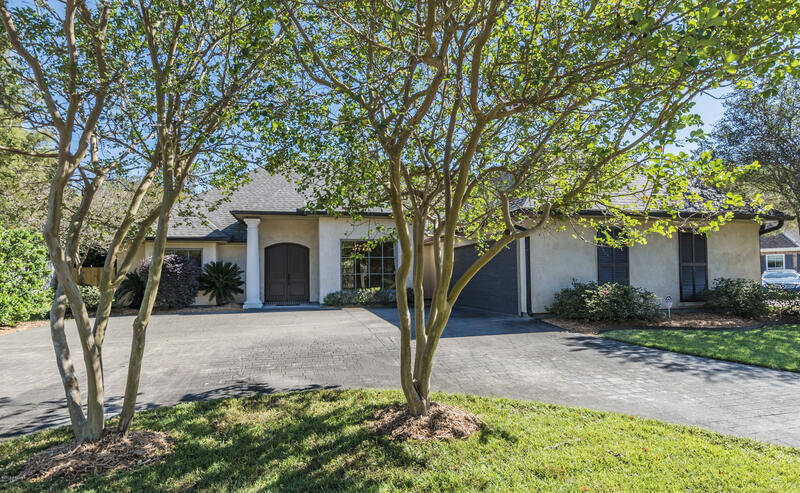 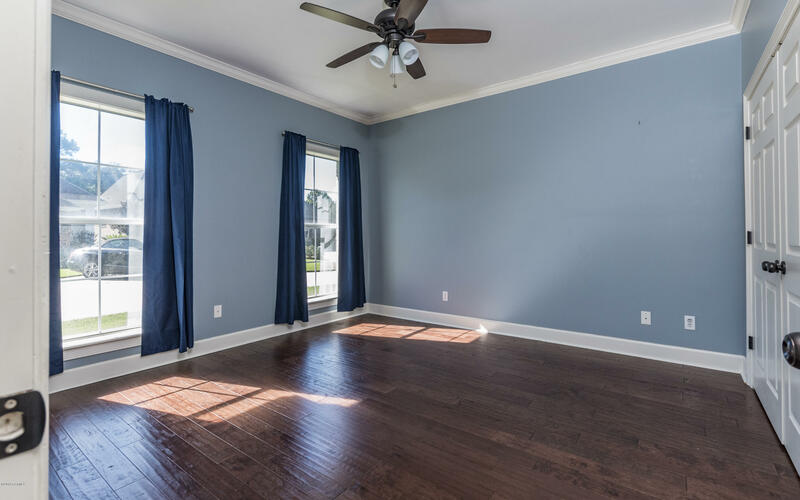 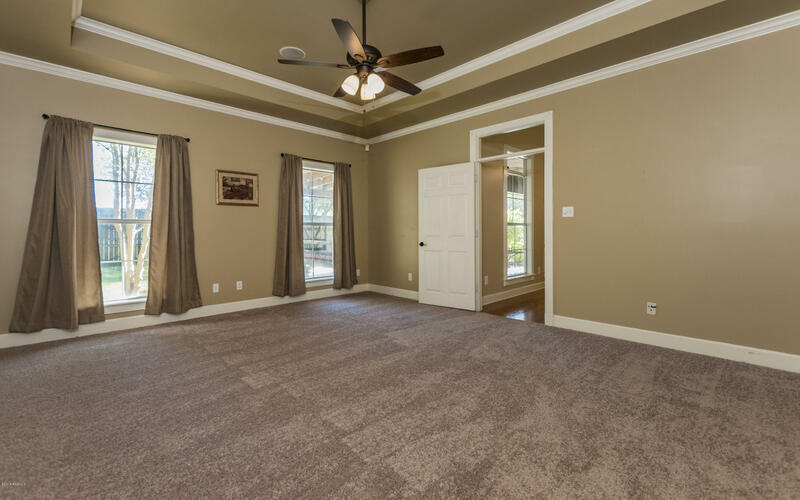 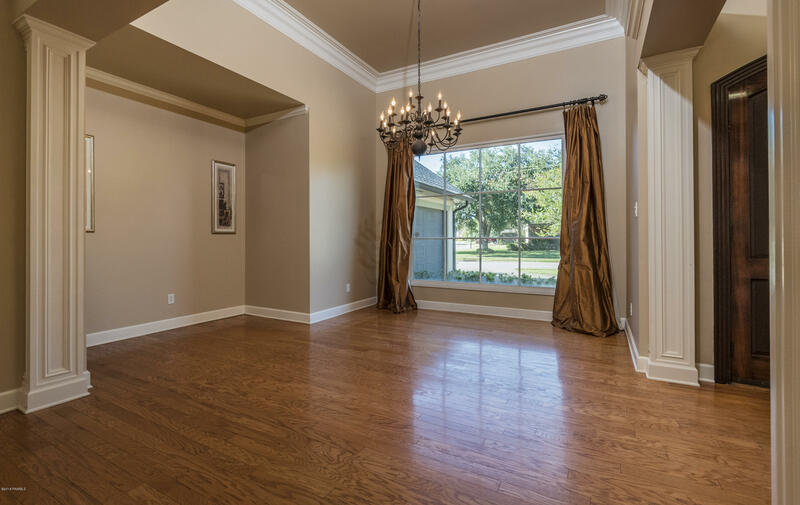 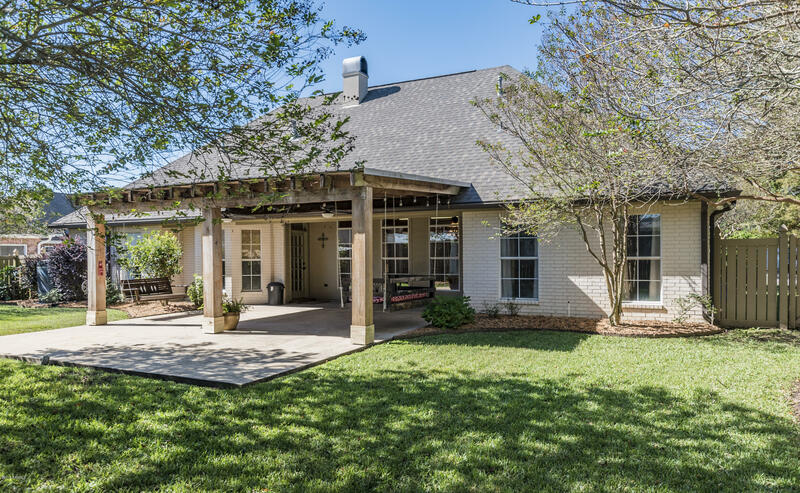 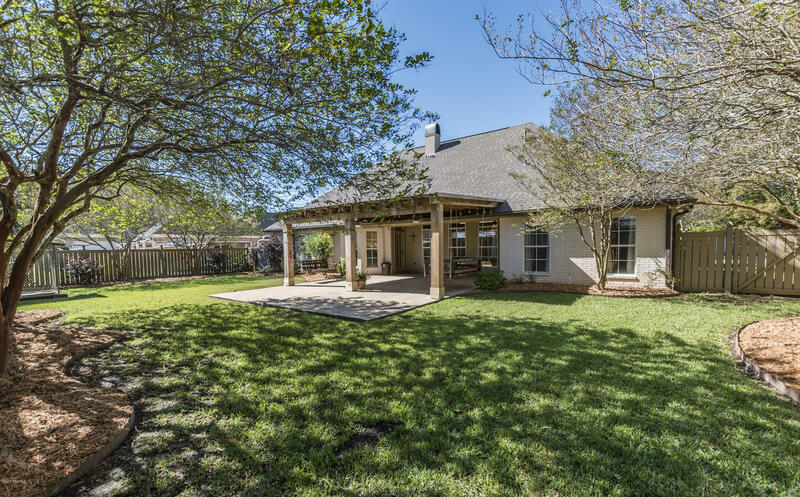 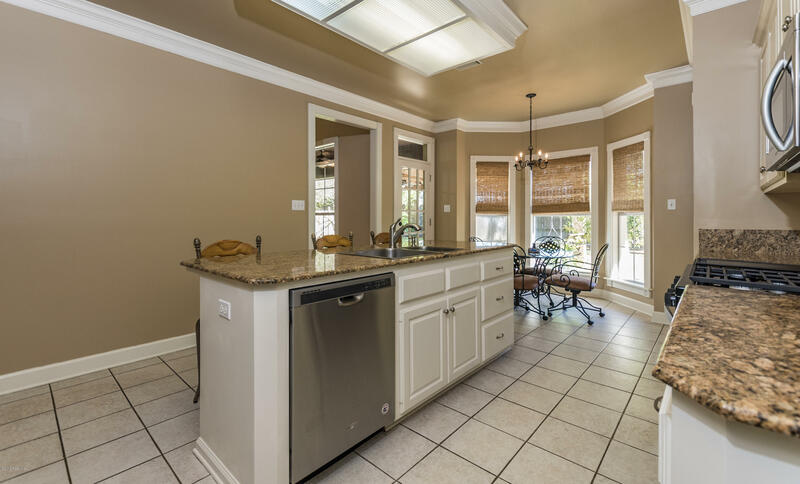 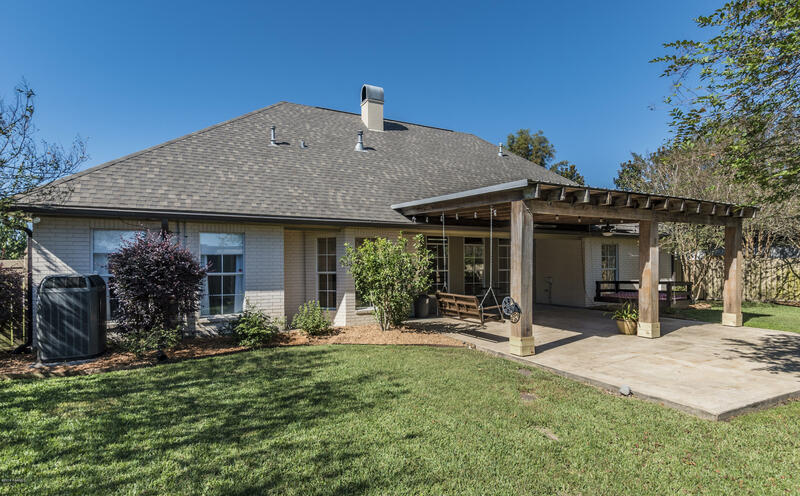 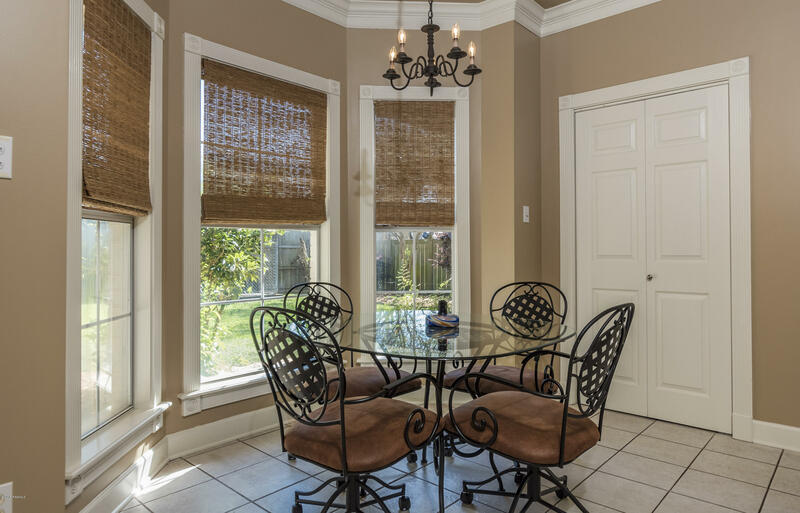 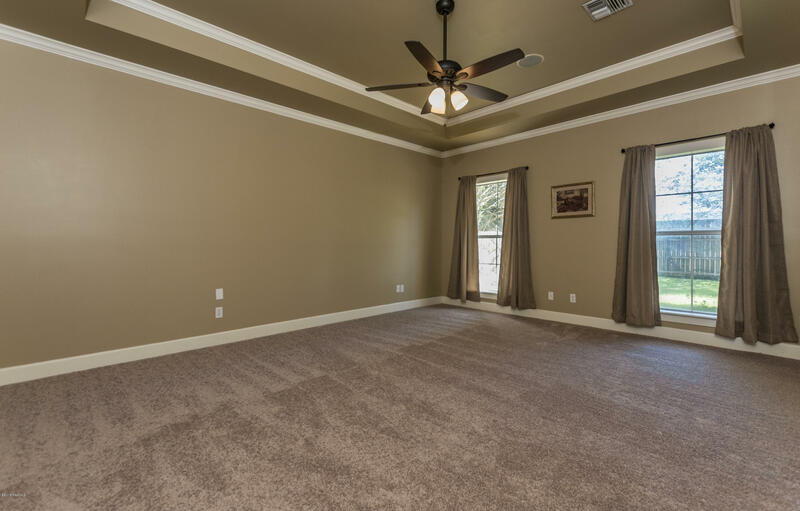 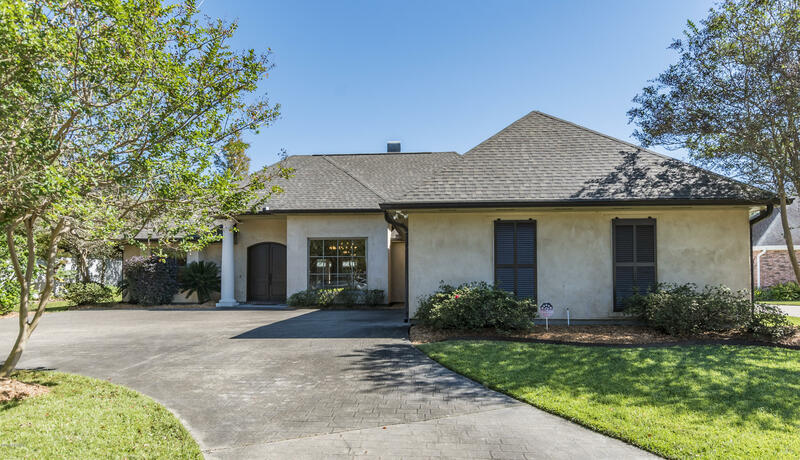 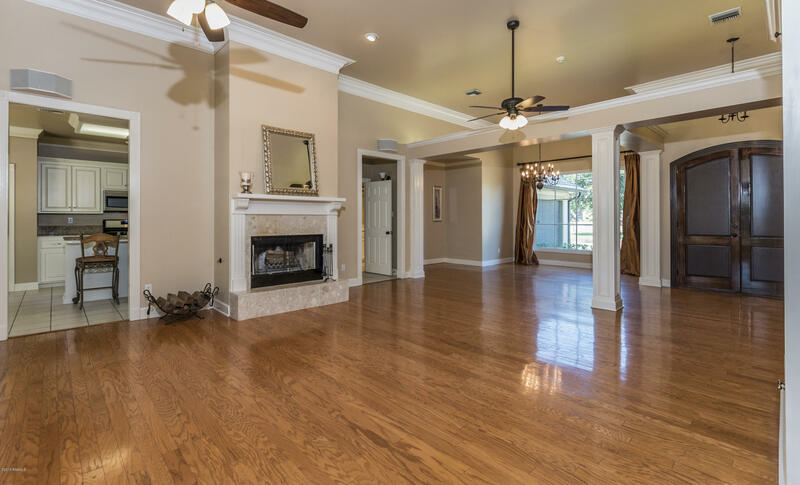 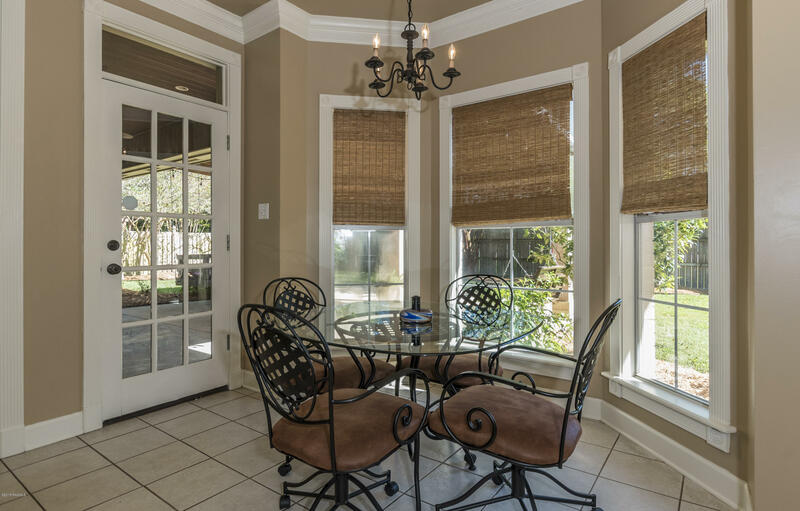 As you enter the home you will love the beautiful moldings, impressive ceiling heights, spacious living room and perfectly placed windows that extend your view to the entertainers back patio. 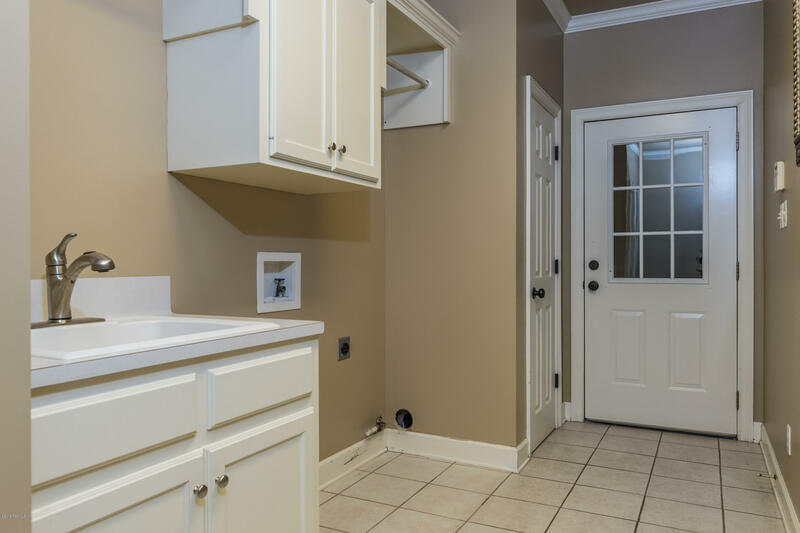 Stay comfortable with the wood/gas fireplace, eat in kitchen with breakfast bar, new gas range and dishwasher, transom windows, fresh paint, split floor plan, roomy master suite, his and hers closets plus a large laundry room with a sink and plenty of storage. 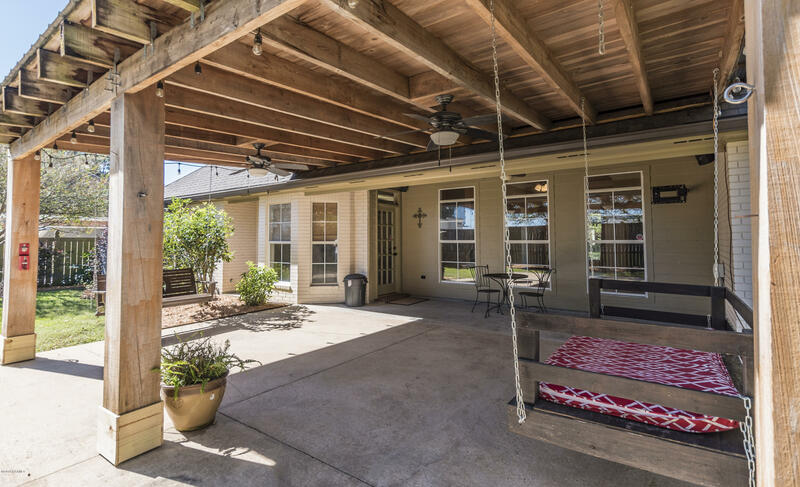 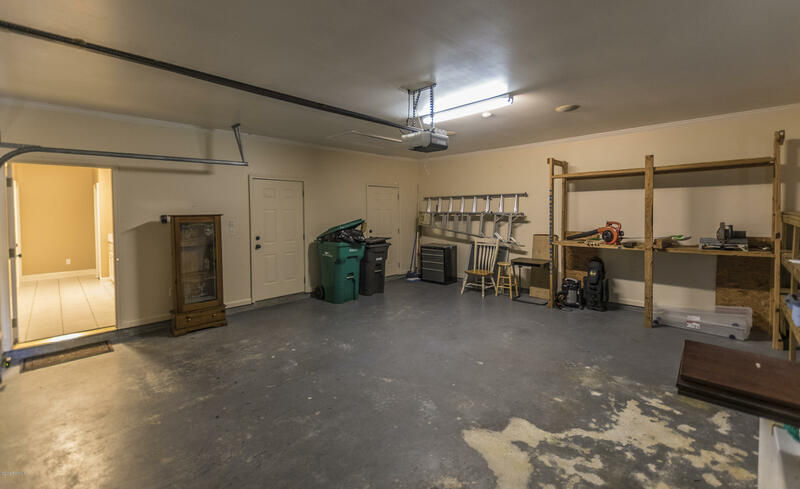 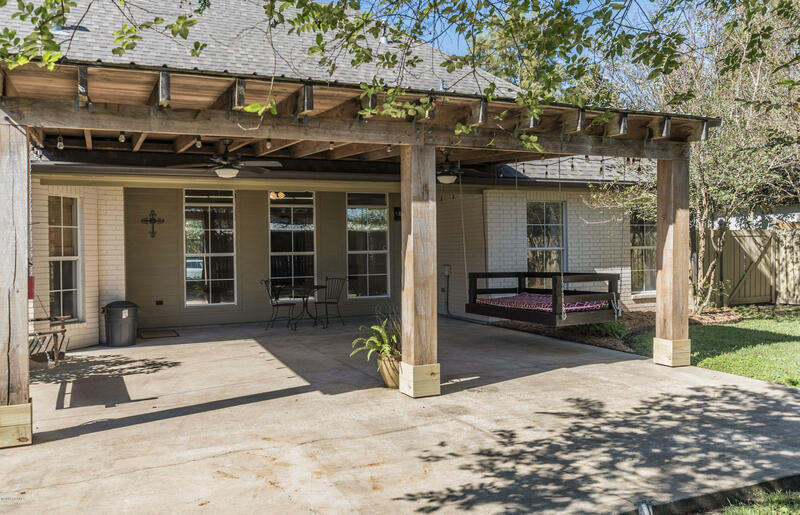 The outside still has more to offer with its inviting extended back patio, well maintained landscaping, usable private green space, sprinkler system, new roof (May 2018) and gutters all around. 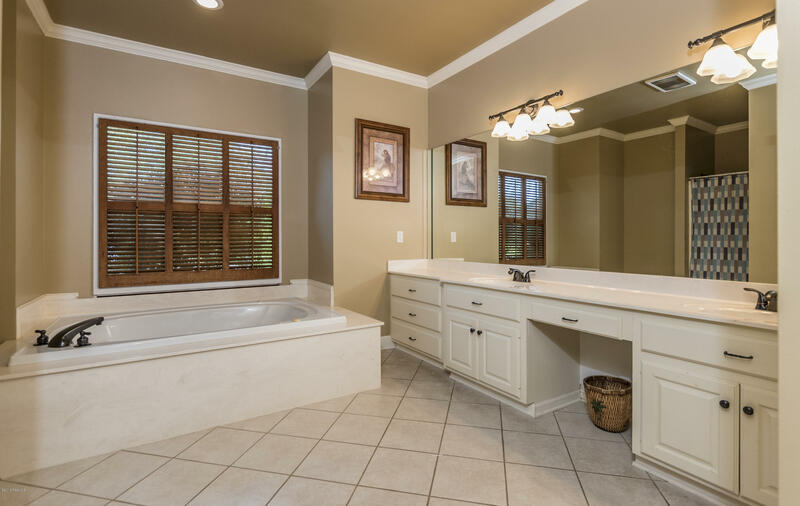 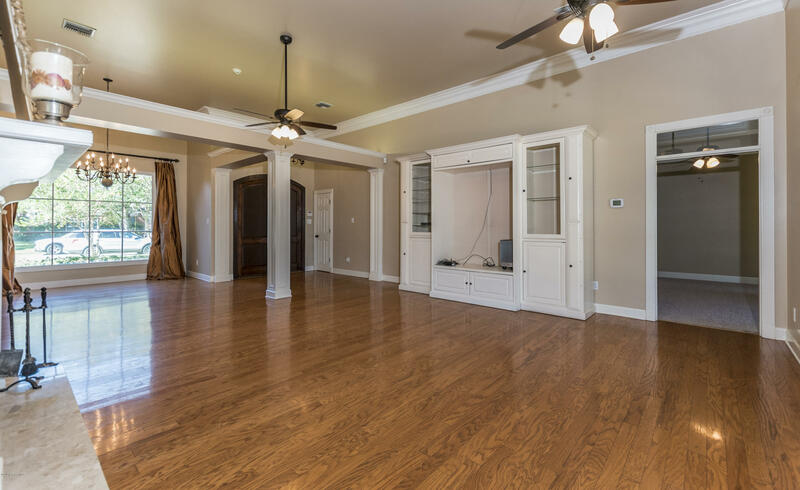 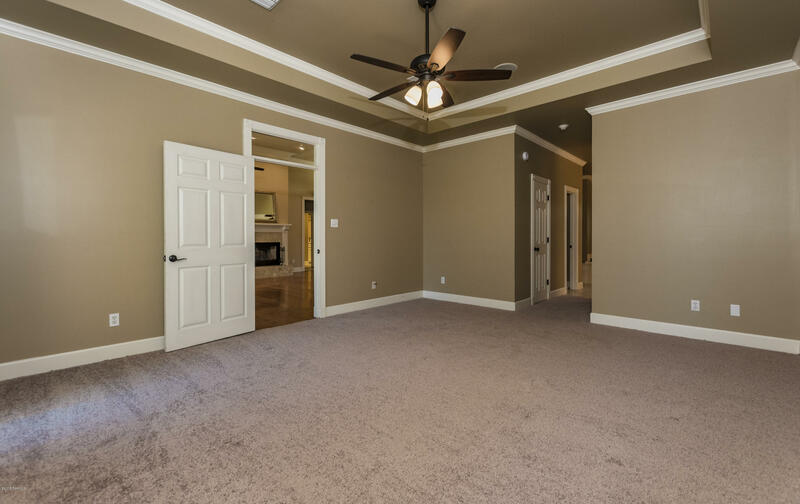 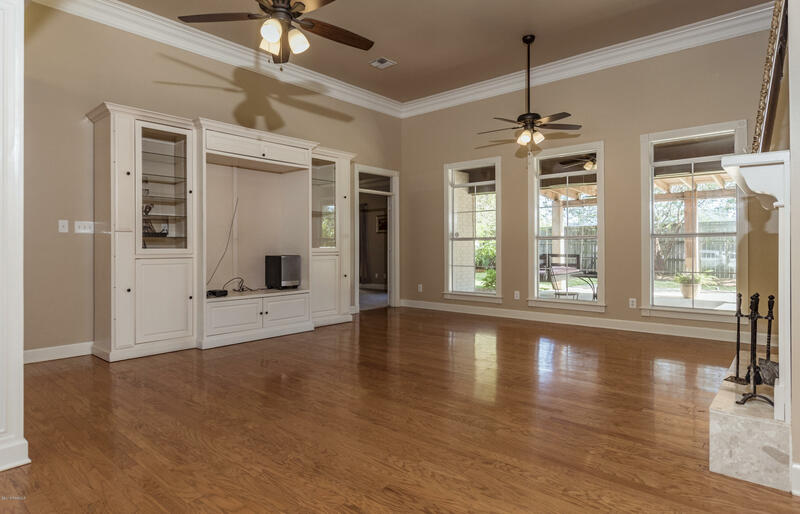 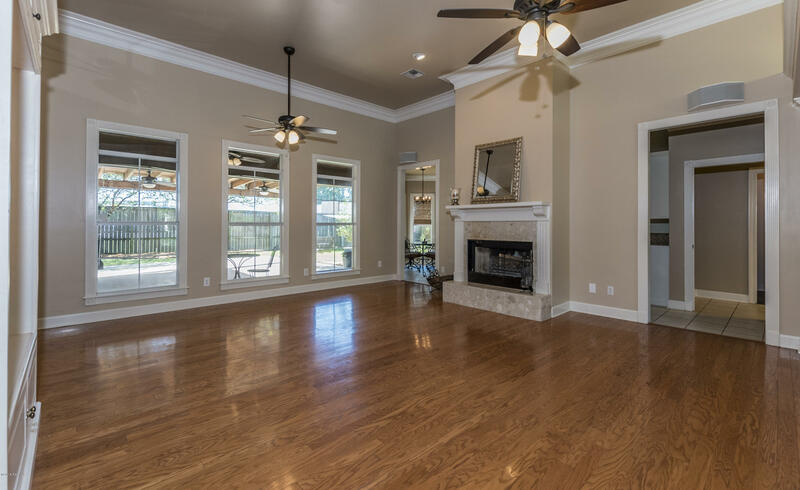 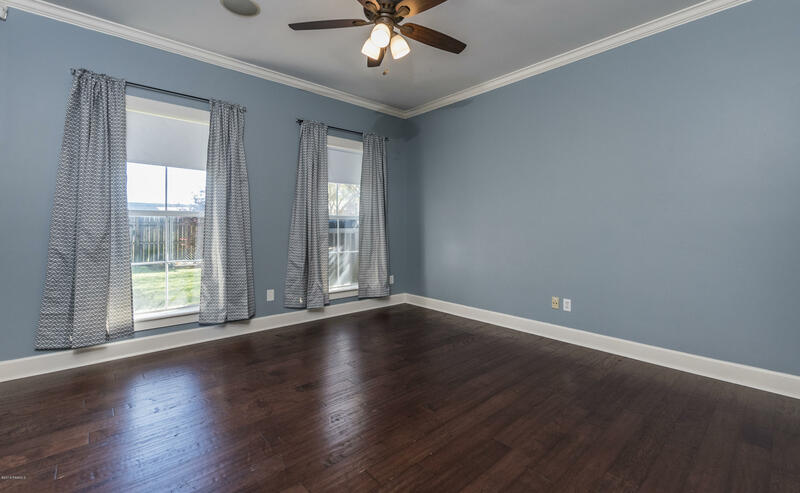 This home is fresh, neutral and ready for your finishing touches! 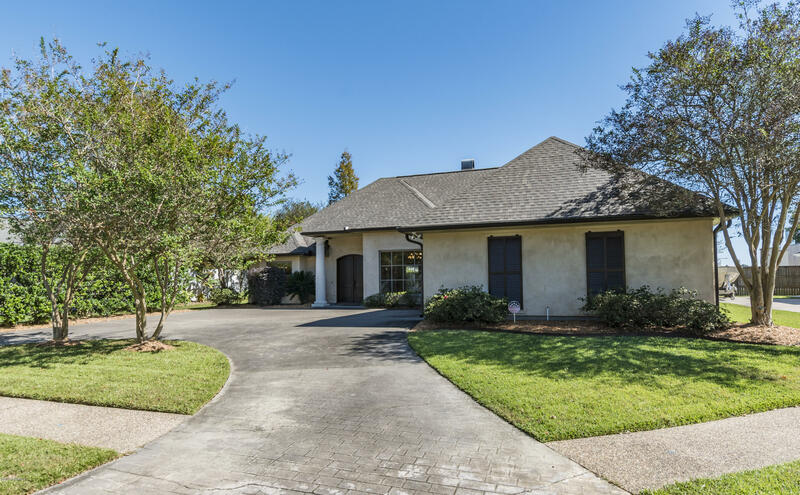 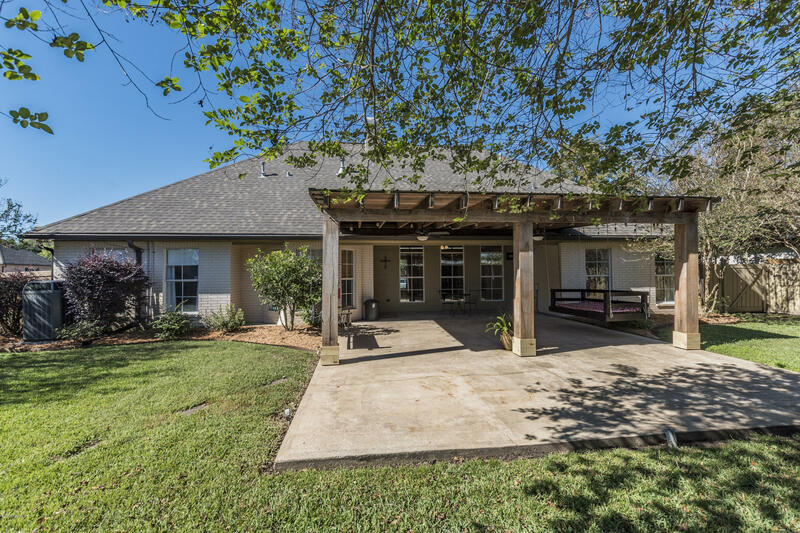 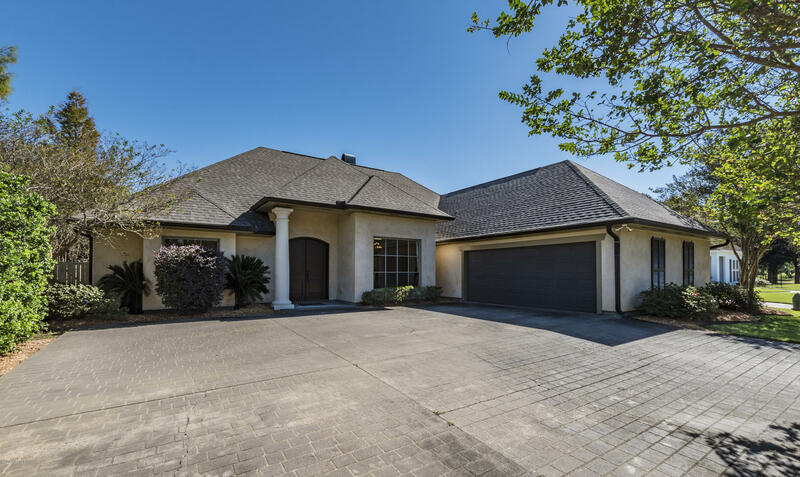 Upscale neighborhood amenities include the celebrated Le Triomphe golf course, swimming pool, tennis courts, playground, stunning club house and security monitored gated entrance. 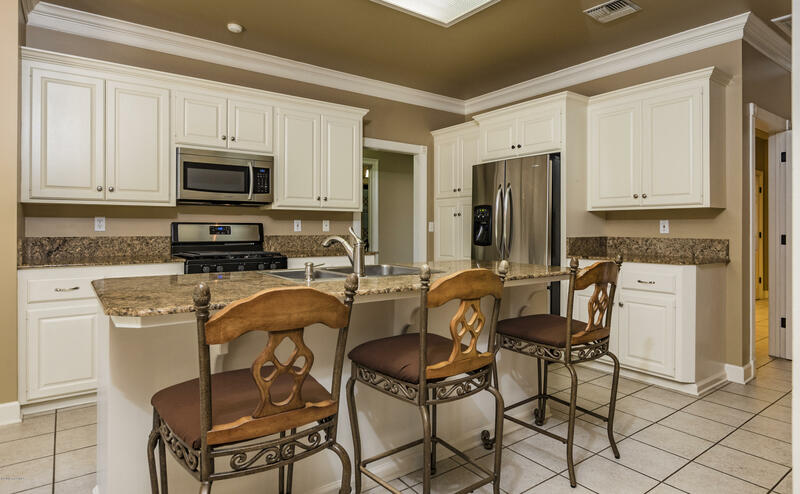 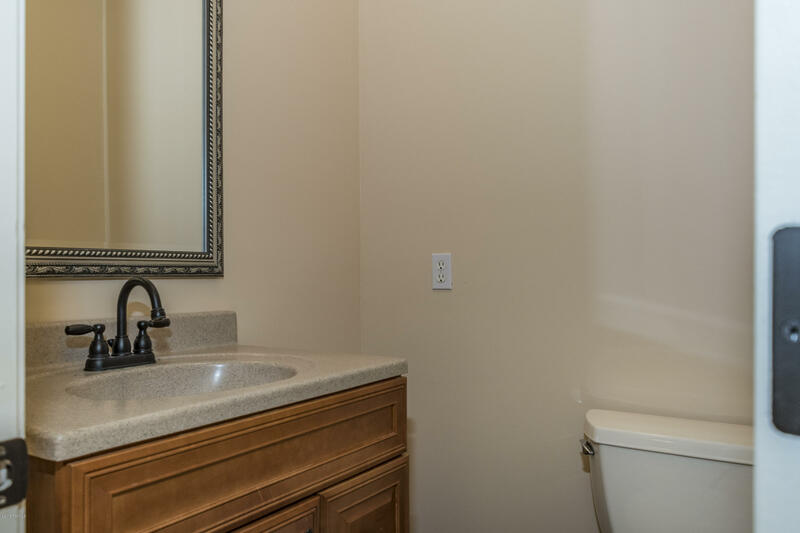 Make an appointment today to get a taste of luxury and lifestyle at this affordable price!